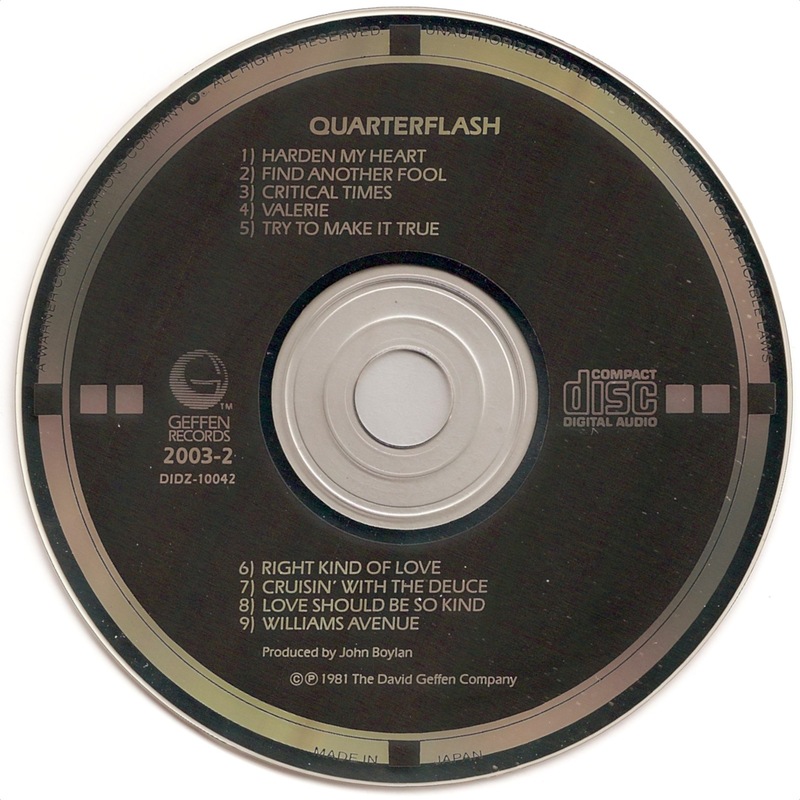 I have said this before, but I am going to say it again: the many colored faces of Targets CDs is the one thing that attracts me most and keeps me searching for these fascinating remnants of the early days of the Compact Disc. Below are a few examples of colorful Target CDs that I acquired recently. 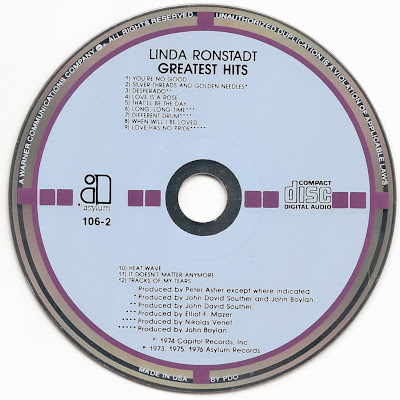 First there is a small variation of the US pressing of Linda Ronstadt's Greatest Hits. Unlike the variation that I already had, this one does not have an inscription etched around the center hole. 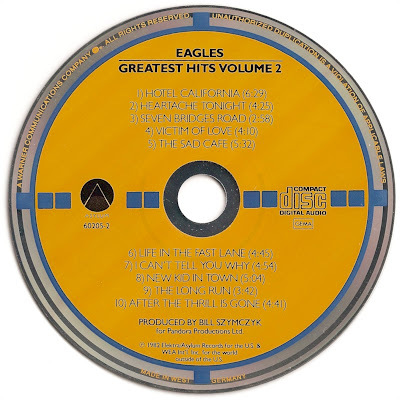 Most Japanese pressings of Targets CDs that were manufactured by CBS/Sony can be found with an inscription in the plastic center which can either be "MANUFACTURED BY CBS/SONY RECORDS INC.", "COMPACT DISC CSR" repeated 3x or "csr". 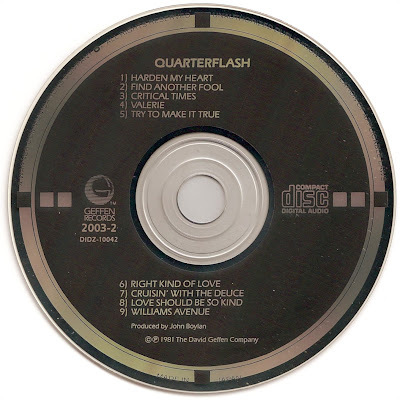 The copy of the eponymously titled album by Quarterflash shown above does not have any text in the hub and also does not mention the DIDZ number on the back insert. 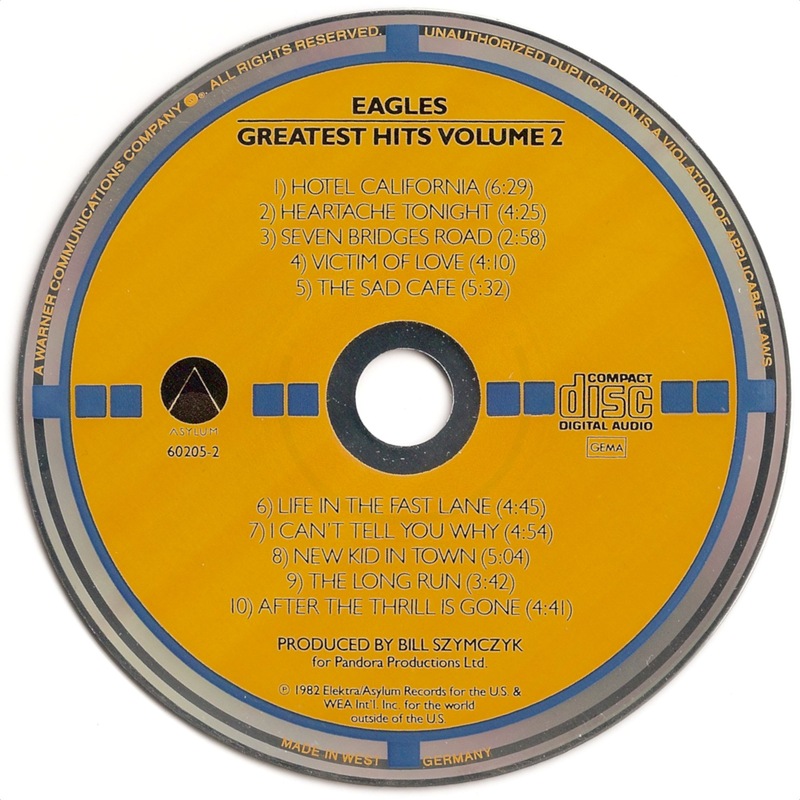 And finally there are the inevitable Eagles with Volume 2 of their Greatest Hits. Shown above is the variation with just MADE IN WEST GERMANY and break between WEST and GERMANY printed along the perimeter. 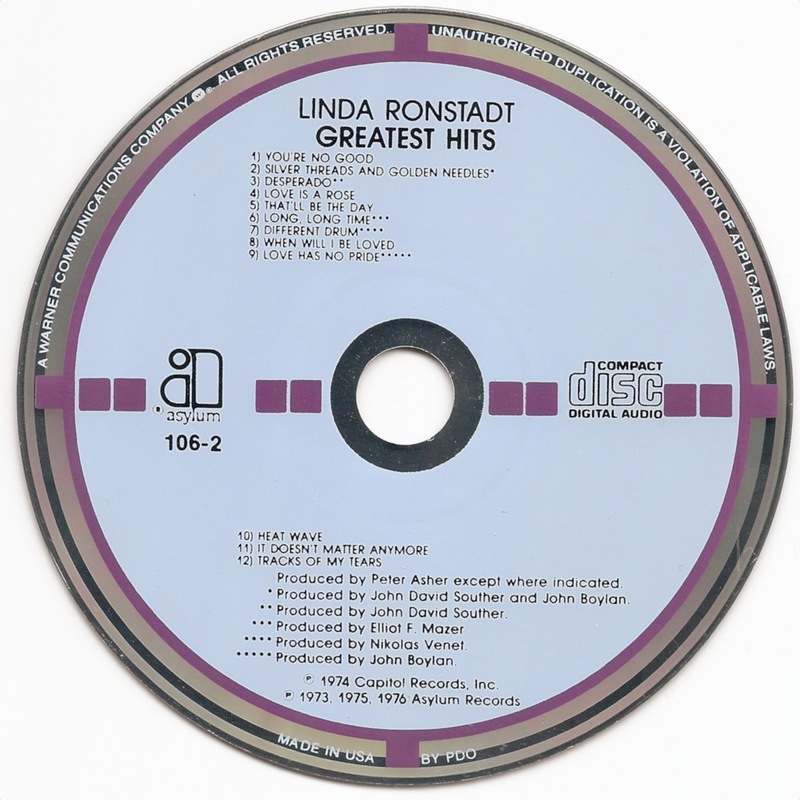 It also has the text MADE IN W. GERMANY BY PDO etched around the center hole and came with inserts that were printed in U.S.A.